A Halal food blog reviewing London's finest Halal food! Hello everyone! This week I will be teaming up with Radhika from radikalkitchen.com. Radhika’s background is in dietetics and nutrition which makes her the perfect person to collaborate with to create healthy iftar recipes. This week we hope to inspire you to put down those samosas and whip up some healthy, yet tasty dishes to help give you a nutritious, wholesome meal which is what your body needs… especially on a full day of fasting! 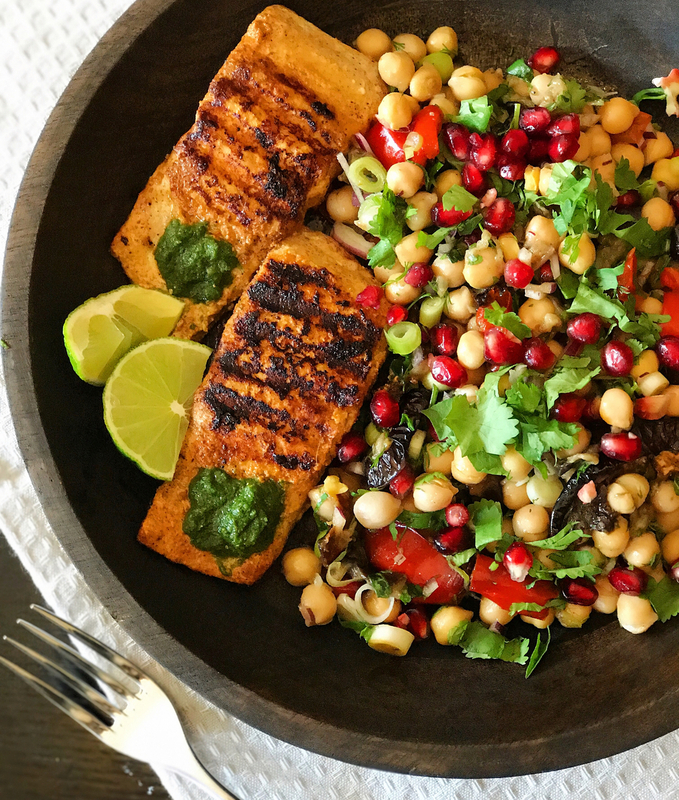 Today’s recipe consists of spicy salmon with a delicious Moroccan inspired chickpea salad. Give it a try and let us know what you think! Be sure to check out Radikal Kitchen for more healthy food inspiration! Mix all the ingredients for the marinade and season well. Add the fish, cover and leave to marinate in the fridge for at least 30 minutes, or more if you have time. Remove the fish from the marinade and place on a large piece of foil. The fish should be lightly coated, but not dripping with the marinade. Heat a griddle pan until hot, add the oil and pan fry the marinated salmon fillets for approximately 3 minutes per side. Serve immediately, garnished with coriander sprigs and lime wedges. Preheat the oven to 200°C. Put the aubergine and red pepper chunks in a shallow roasting tin, mixed with chopped garlic and oil. Roast for 35-40 minutes, stirring halfway through, until the vegetables are cooked and beginning to turn brown. Rinse the chickpeas and put in a bowl; add all the other ingredients. When the vegetables are cooked, allow them to cool for 5 minutes, then tip into a bowl with the chickpeas. Hey! My name is Ayesha and I'm the girl behind My Big Fat Halal Blog! 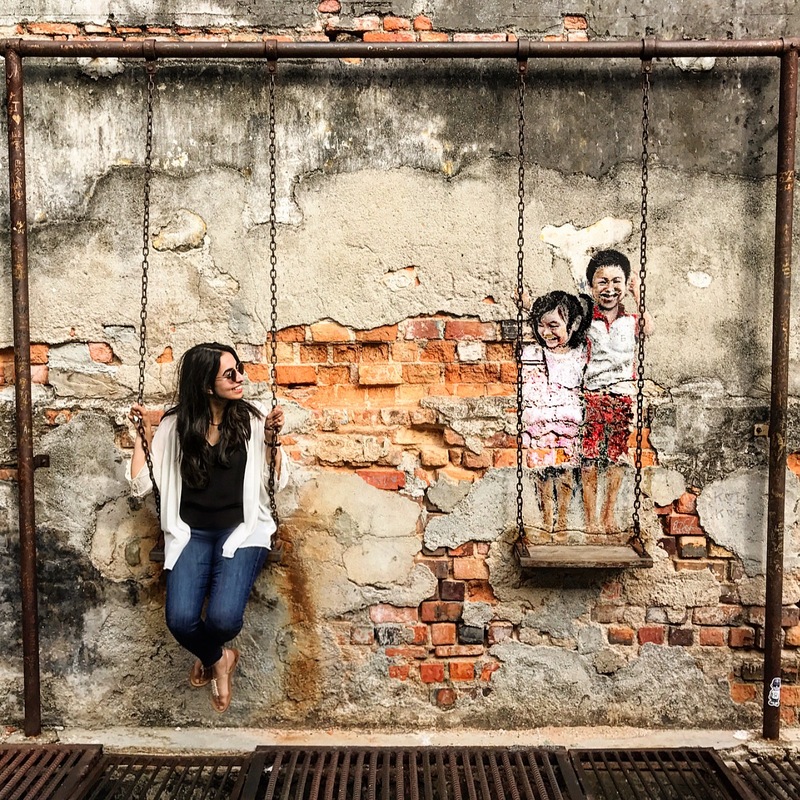 © 2019 My Big Fat Halal Blog ∙ All rights reserved, content may not be used without permission. Subscribe for our reviews to be delivered straight to your inbox!